hd00:12VIRGINIA - OCTOBER 2014 - Reenactment, large-scale, epic American Revolutionary War anniversary recreation. Blackpowder Muskets & Redcoats, Cannons and flags, long line of battle, in Colonial combat. hd00:10VIRGINIA - MAY 2017 - large-scale, epic Civil War anniversary reenactment -- in the middle of battle. 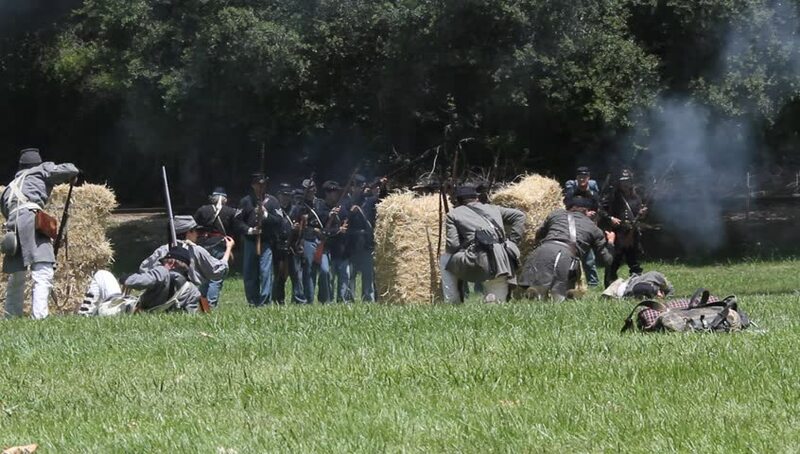 Confederate soldiers in battle against Union Army, across tall grass field, fire muskets. smoke.